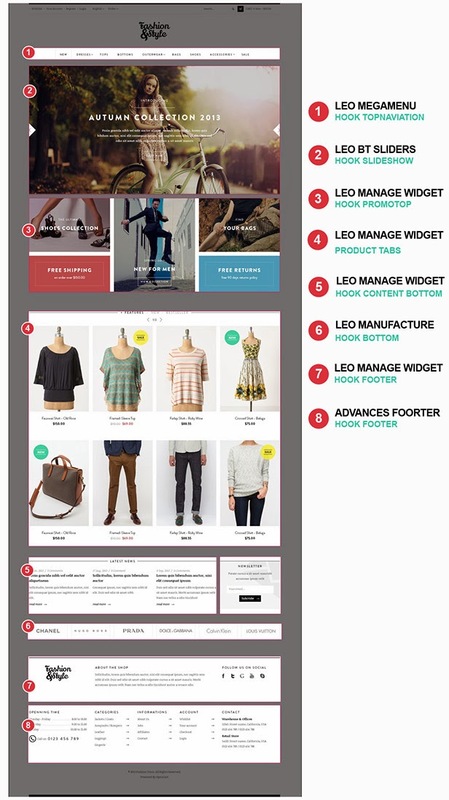 Leo Fashion is developed with Leo Framework, a framework that has a powerful admin panel, it allows you to control almost every part of the theme like: Megamenu, Layout, Theme skin, Google font. Item Reviewed: Leo Fashion Multipurpose Prestashop Theme 9 out of 10 based on 10 ratings. 9 user reviews.